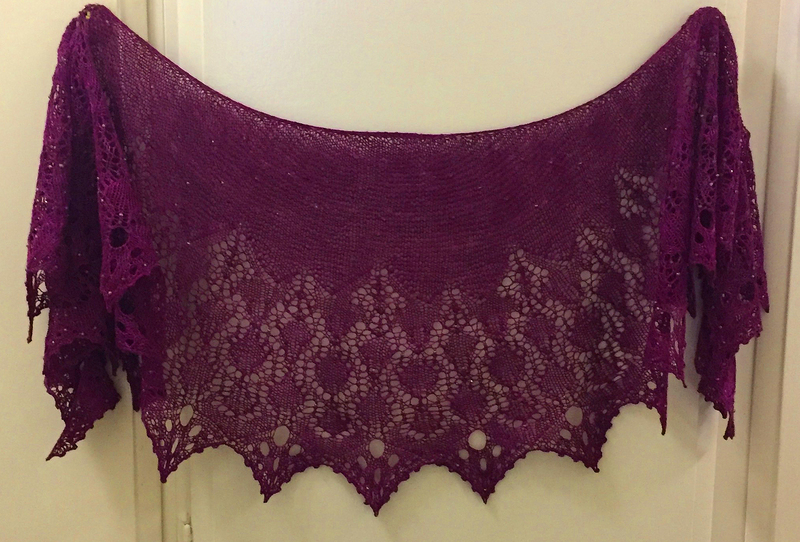 A new Boo Knits shawl called Danse Macabre. Was a lot of fun to knit. Made out of Dye Diana Dye Tussalin silk yarn and etched czech beads.